Painting the new/old house inside and out was high on our to-do list before we moved in last year. As it turned out we had an extra ten days to get the house ready before we moved in thanks to our initial move-in date being cancelled due to a 1-in-100 year rain event. 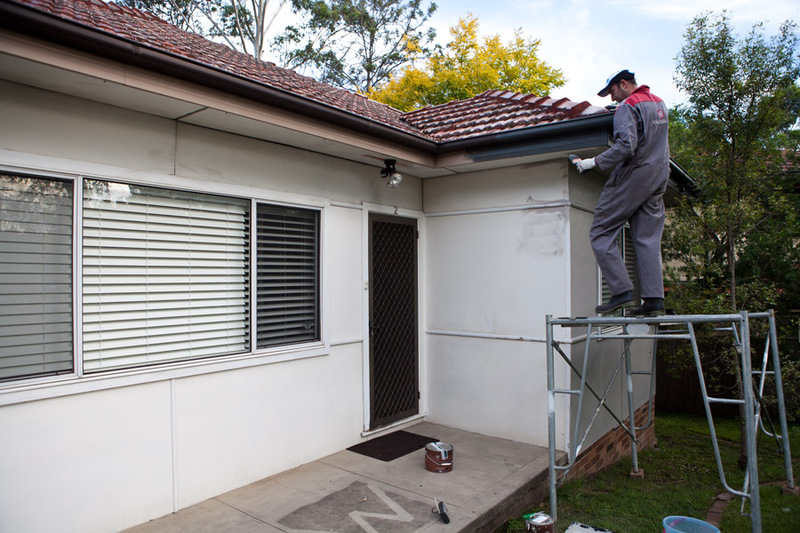 Although we had initial plans to paint inside ourselves, what with all the stress and exhaustion and two small children to take care of, not to mention the size of the job, we caved and hired professionals to paint the interior. Best decision ever, every surface that wasn’t floor was painted, doors, skirtings, louvered cupboard doors, the front door, all ceilings and of course the walls. The difference was remarkable and it did honestly feel like a new house when we moved in! 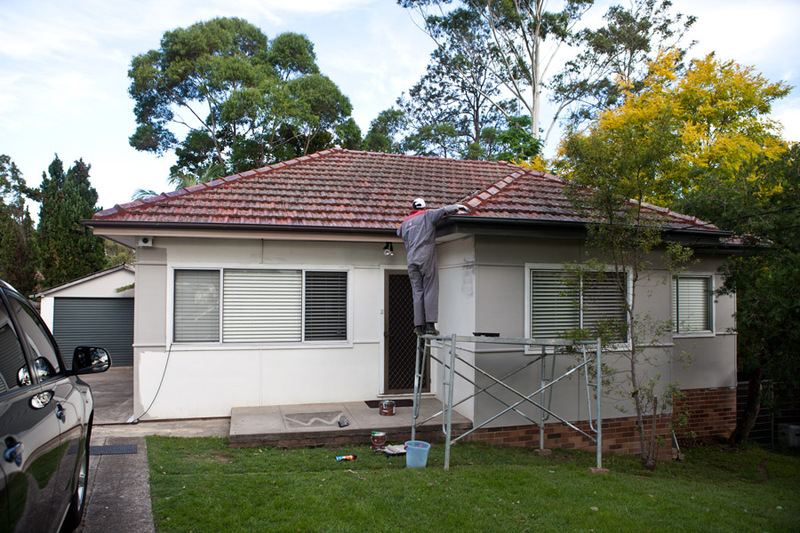 We decided to postpone painting the exterior until the renovation was finished and there were a lot of repairs to do to the old fibro first. Finally the big jobs were complete and we were ready to start thinking about painting. 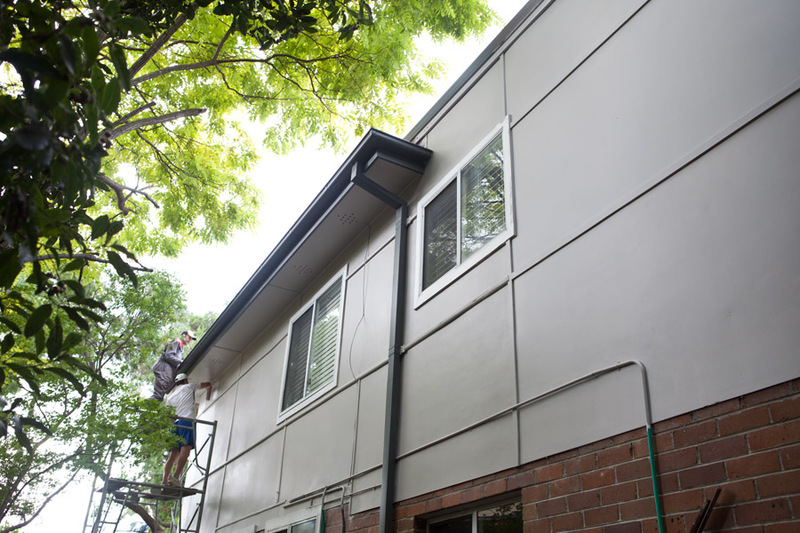 Initially we thought we were going to paint the outside white. 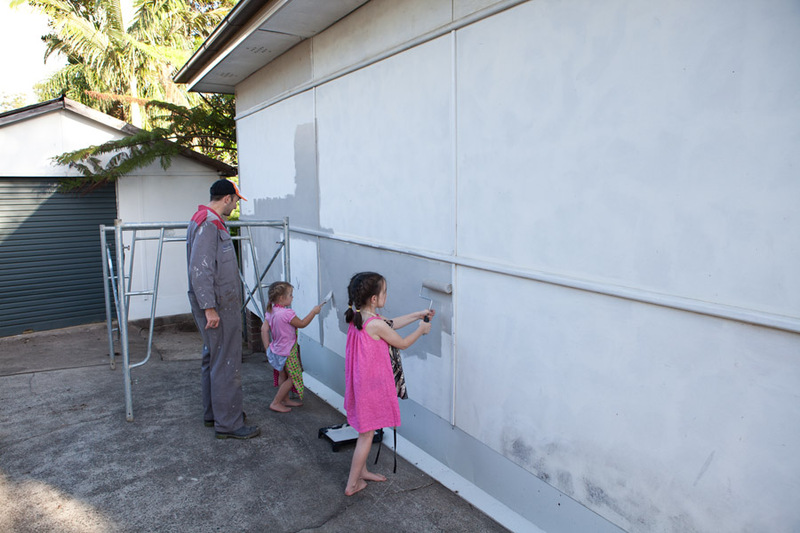 I don’t know why, maybe we had a large tin of white exterior paint in the garage, maybe the house was already white, or at least had been at some point in time. 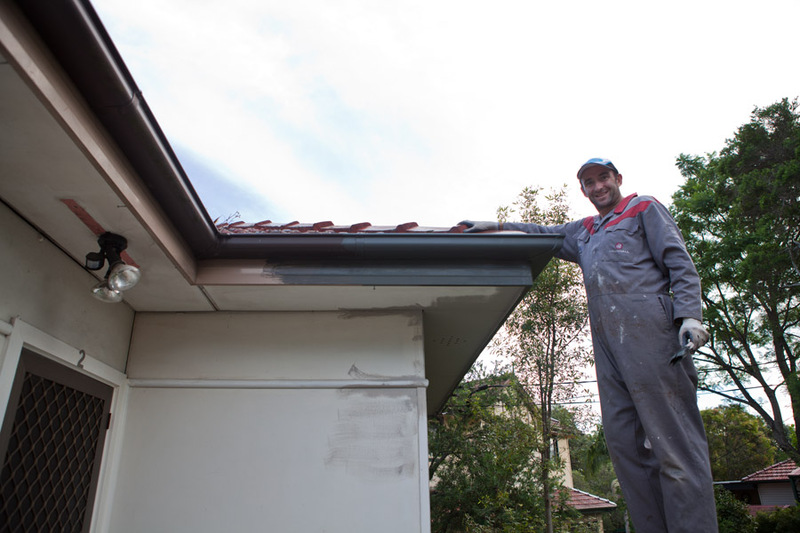 But once Ron did the first coat of white at the back we quickly decided that we needed a new colour palette. 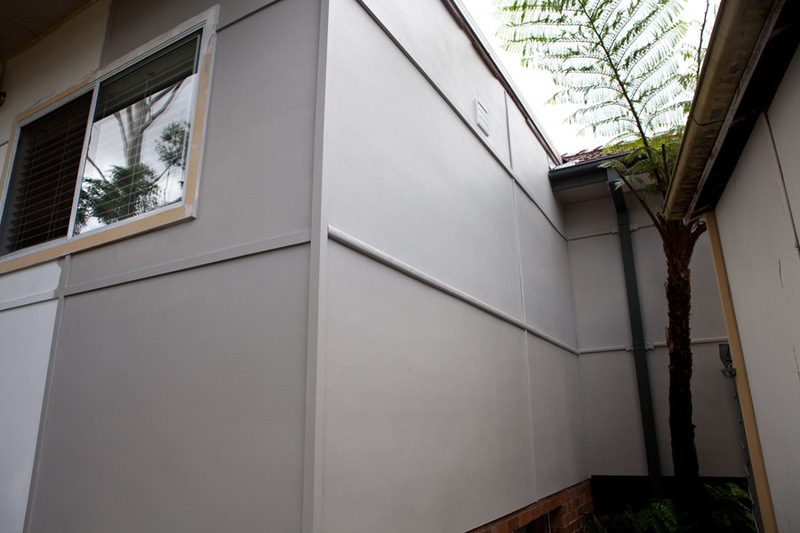 We started with our beloved Woodland Grey which we used on the deck balustrades and chose a selection of colours on the same palette. We ended up with Smoke Haze, a sort of beige grey that was dark enough to not be white but not too dark. Just right. There was lots of prep work to be done, some spots needed to be sanded down, Ron had to repair a lot of the joins in the fibro sheeting and we need to borrow our builder’s scaffolding but soon enough Ron was up and painting. Being a methodical guy he started on the side of the house, moved round to the other side, then the back and finally the front. We still have some touch ups to do at the front before I take the final After photos. We love, love, love the colours, the Woodland Grey gutters and trim make such a difference and the actual house colour has brought our little fibro right up on trend! It did take a long time and a lot of hard work but not only has Ron saved us a lot of money, he has added some significant value to our home. 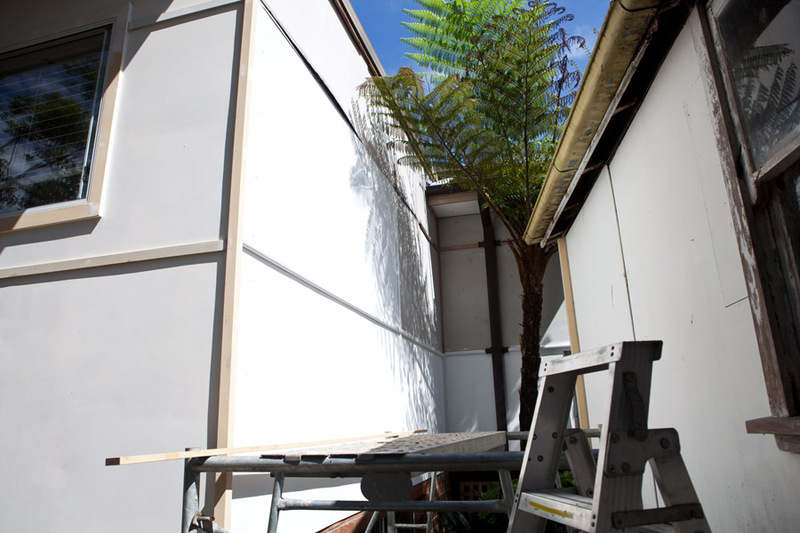 May 18, 2013 | Filed under House & Garden and tagged with painting, renovations.